You could go around the world in 80 days, but why not savor the experience on this groundbreaking 180-day world cruise from Oceania Cruises. 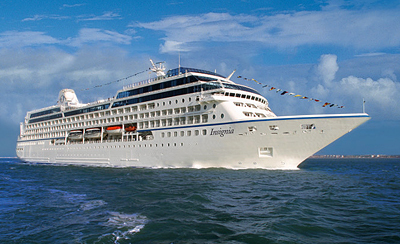 This cruise line, which has a strong focus on fine cuisine, will be hosting their very first world cruise in 2015 aboard the Oceania Insignia. Most cruise lines offer world cruises that last between 90 and 100 days, so this is a true extended adventure that will leave you with stories, memories and photos for a lifetime. The sailing starts on January 10, 2015 in Miami and concludes on July 8 at the same port. After embarking, the cold month of January is spent in the warm tropical isles of the Caribbean, Brazil and French Guiana. Then the ship crosses the Atlantic where February will be spent in Africa rounding the Cape of Good Hope and then making way to Asia. March and April take passengers from the Seychelles to India, to Southeast Asia, China and Japan. May is spent sailing around Australia and New Zealand. Then June is spent in the South Pacific with stops in Tahiti and Hawaii and then along the east coast of the U.S. The final weeks of the cruise take passengers to Mexico and through the Panama Canal. During the cruise there are 89 stops in 44 countries. Fifteen of those stops are overnights, which give passengers more time to explore the bigger cities and take in the night life of places like Cape Town and Bangkok (by nga here). There will also be special experiences for passengers at five stops. In China you will have lunch at the Great Wall of China. In Hawaii you’ll have a 1940s American celebration on the decks of the USS Missouri. 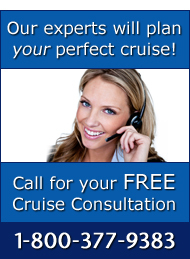 Call a Cruise Web consultant today to discuss prices and options for this experience of a lifetime.